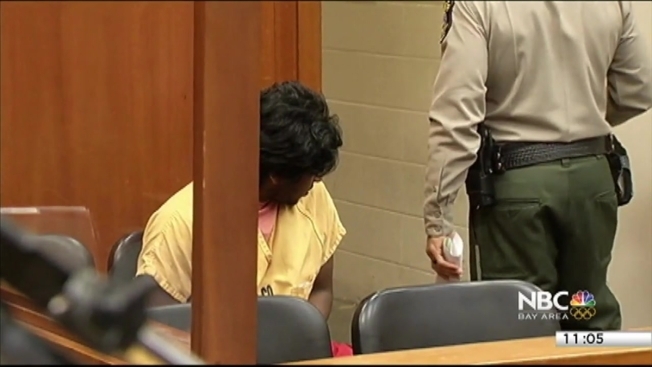 A preliminary hearing for two brothers accused of killing their San Jose parents on Monday was delayed until Wednesday, and the younger brother’s attorney said she wants the boys to be tried separately. Speaking for the first time, alternate public defender Jessica Delgado told NBC Bay Area she “absolutely” wants 17-year-old Omar Golamrabbi tried separately from his brother, 23, Hasib Golamrabbi. Both boys were charged April 29 with murdering their parents, Golam and Shamima Rabbi, during the prior weekend. Delgado wants a speedy preliminary hearing and a speedy trial. “We’re ready to go,” she said. Both boys have pleaded not guilty to the crimes. Prosecutors have not provided any motives for the killings, though court documents state that Omar Golamrabbi wrote messages on the walls over the parents' bodies. Sources told NBC Bay Area that one of the messages read: "Sorry my first killing was clumsy." Hasib Golamrabbi is being represented by public defender Andy Gutierrez. A handful of relatives came to the San Jose Hall of Justice. One woman, who did not want to be identified, said that she wasn't ready to speak, and wasn't sure who to support.